Dear fans of the guitar! 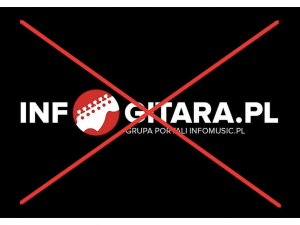 I would like to inform you that today my cooperation with the infogitara.pl portal has ended as the editor-in-chief. It was a great and effective time, and above all a great guitar adventure that allowed to meet many great people with whom we created a truly guitar meeting place on the net and beyond. Thank you that you have been following and encouraging our activities and I hope that it will continue to be so. From now on, however, I have no influence on the substantive content, current activities, or the direction in which the portal will go. Of course, you can see me in his pages again, but not as editor-in-chief. I hope that infogitara will continue the activities that I started as a co-creator almost three years ago. In the meantime … .Now come new, stay tuned! Thank you again for your attention, interest and a joint guitar journey.